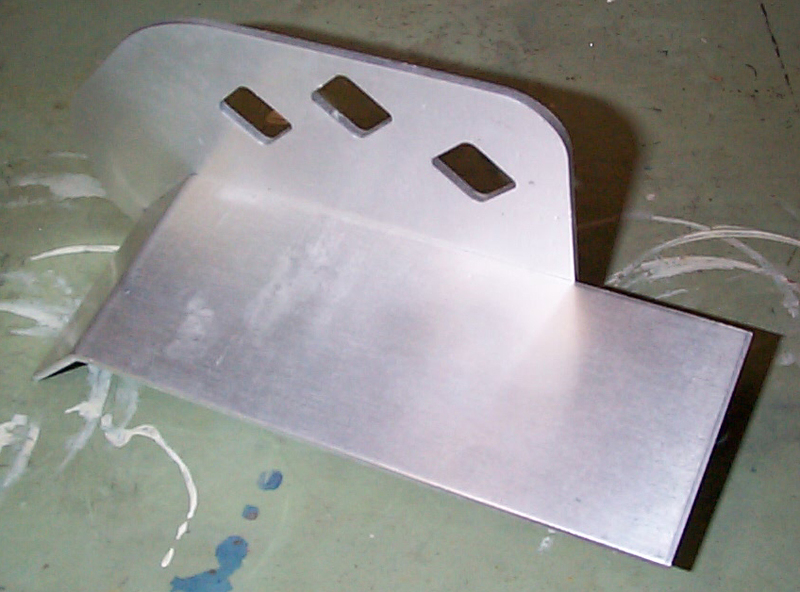 New to our line of Clutch guards are our side protection shields. These shields are manufactured from 11 gauge aluminum and can be retrofitted to most any existing clutch guard with a 45 degree bend on the horizontal portion of the guard. The price shown is for the add-on piece only... the standard clutch guard is sold separately. We hope to decrease this price as production runs increase. Note: To add this part to your existing clutch guard you will need a center punch, a #7 drill, a 1/4-20 tap, and 3; 1/4-20 bolts. All of which are not included, but can be found at your local hardware store. 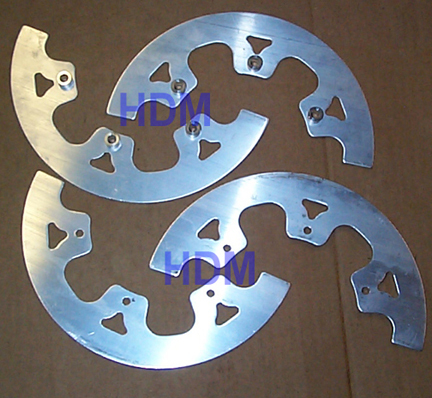 The HDM Clutch and Chain Guard is constructed from high quality aluminum plate. 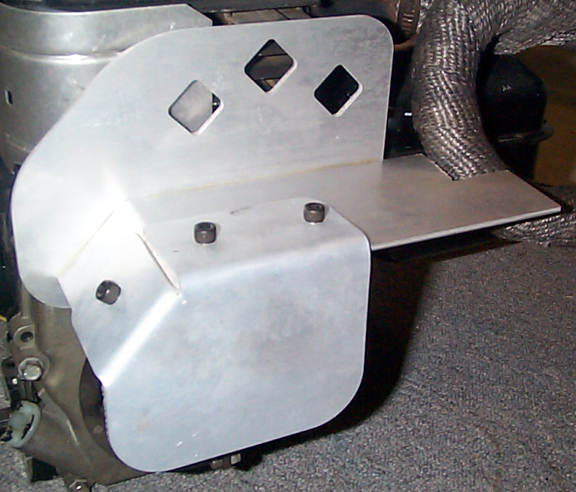 This clutch guard will bolt directly to the side cover of a your motor (flat head version shown). 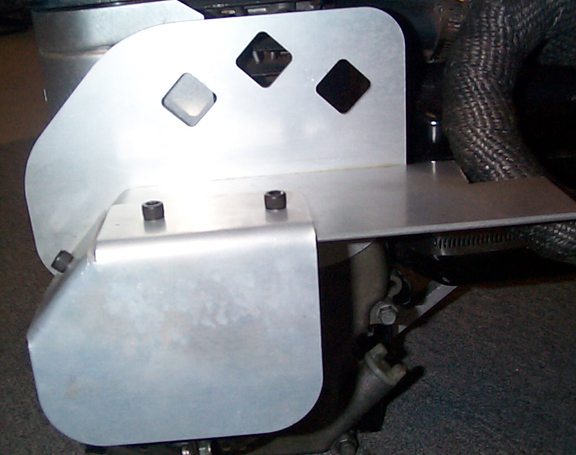 The Clone version has an extended length and height for to help protect the driver from the header pipe. This clutch guard is available in a plain brushed finish, or powder coated in your choice of colors shown. This sprocket chain guard / guide is manufactured from a light weight aircraft alloy. It is supplied in four pieces as shown. Two of these pieces are equipped with the proper stand-offs. Mounting bolts and nuts are not included. This part will work on #35 sprockets up to 74 tooth.